The literal translation of “Sans Abri” is “without shelter.” The French use it as a term for “homeless”. 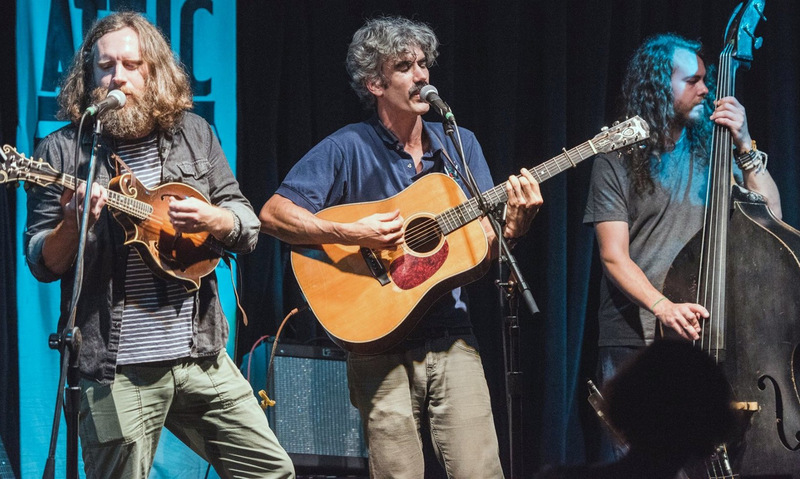 In late 2011, Josh Erwin and Michael Paynter found themselves with a handful of new songs that didn’t have a home in The Packway Handle Band, the acclaimed bluegrass-based group from Athens, GA, that they co-founded. Using a cajon to loop live drum beats and alternately adding acoustic and electric guitar and mandolin, the band creates a sound that steps away from their bluegrass roots and finds itself wading firmly into Indie-Folks and Americana waters. With only Erwin and Paynter at the helm, the songs possess a sophisticated character with wide and transcendent appeal. The songs on the duo’s first release, Shelter (November 2013, through Twin Cousins Records) often tackle the inevitable predicaments inherent in modern life. The songs range from dark to playful, entailing both sad and funny themes, and are performed with a professional and skilled musical sensibility that only comes with the years that Erwin and Paynter have spent playing music together. Erwin’s “The Scientist” asks the difficult question, “Are we someone’s experiment?” It combines satire with genuine curiosity that has puzzled mankind for millennia. In “One Pill A Day,” a Paynter composition that progresses around a clutching mandolin riff that is doubled by the guitar, one is led to believe that perseverance lies in the form of the pharmaceutical-induced peace of mind of a haunted person that can’t ever reach homeostasis without crashing back to the ground. Paynter’s “Winds Me Up,” the more somber number that closes out the duo’s debut release, showcases Erwin’s deftness on electric guitar and the duo’s tight-knit vocal harmonies. Those who give Shelter a listen will surely be pleased that these songs have found a home and a fruitful place to grow and evolve.